If I said I hate yellow polishes, I'd be lying. 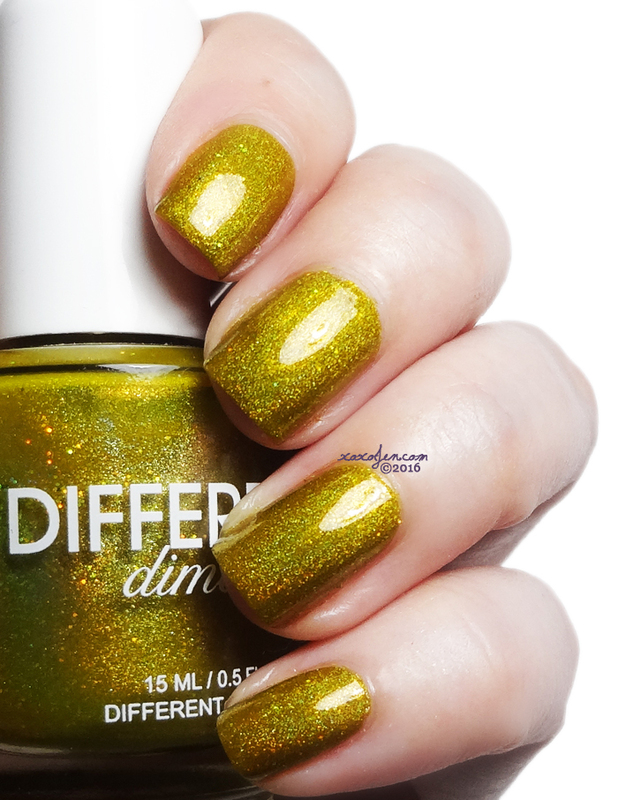 Buttersweet Symphony from Different Dimension is the _one_ yellow polish that I fell instantly for when I saw it for the first time last year. 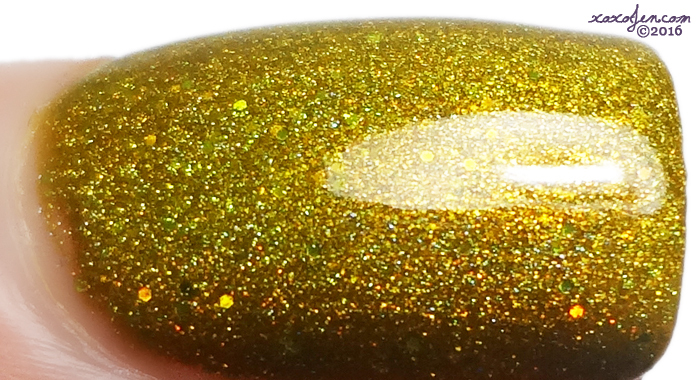 It is packed with microglitter, holo pigment and perhaps some shimmer - definitely very sparkly! The shade of yellow is unlike any other I've seen in polish world. In some lights, it almost seems to have a greenish hue, and in other lighting it is more a mustard shade. I think it's uniqueness is what draws me to it. The formula was fantastic. I wore a it a week and had no chipping or staining. I never thought I'd refer to a yellow polish as "dreamy" but, it is. Do you have a favorite yellow polish? What is it and why? Such a fun yellow that is.